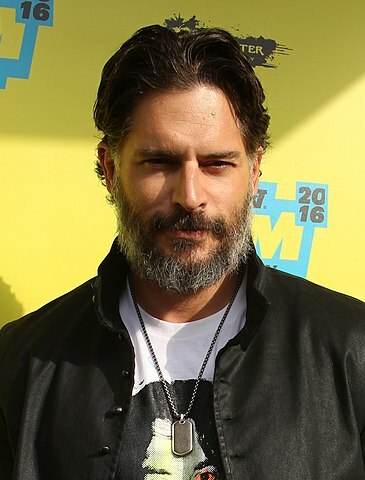 Joe Manganiello was born in Pittsburgh, Pennsylvania, U.S. on December 28, 1976, is an American actor. Young Joe Manganiello began his acting career in productions in the Pittsburgh's theatre scene. He made his big screen debut in superhero movie Spider-Man (2002) in role as Eugene "Flash" Thompson. Joe's breakthrough role came as werewolf Alcide Herveaux on the HBO dark fantasy horror television series True Blood (2008–2014). He voiced Hefty Smurf in film Smurfs: The Lost Village (2017). Joe married actress Sofia Vergara in Palm Beach, Florida on November 21, 2015. He is of Italian-Sicilian descent. He dated Audra Marie (2009-2011) and Bridget Peters (2013-2014). Fan of the Pittsburgh Steelers and the Wests Tigers. He likes to read books and to go Disneyland. Was a roadie for the band Goldfinger. I train like a pro-athlete, not like an actor who's just trying to look pretty. I've always been an athletic guy, but the extent to which I go for 'True Blood' or for 'Magic Mike' is because of the role that I'm playing. When I'm training for 'True Blood,' I don't eat any sugar except for some fruit here and there. So it's no sugar, no bread, no real carbs all day. I don’t think men care why women like them, as long as they do.